I mentioned in my last cross stitch post that I bought a few little kits in the sales after Christmas at Hobbycraft. They were supposed to be Christmas kits, but I managed to find some that were fairly general, one of which was this little cross stitch heart which I finished just in time for Valentine's Day. It was quite refreshing to stitch something which I completed almost in one session. It wasn't as easy as I expected though being so small - there's some tricky back stitching in there! I bought two other small kits, one is a gingerbread man and one is a cat. I suppose when I bought them I had in mind that the heart could represent me and Ram, the gingerbread man Harry (because he was learning The Gingerbread Man story at school at the time) and the cat Mia (because she likes pretending to be a cat). It would be nice if I could come up with some way of incorporating them all into a finished piece, either to be framed and hung up or maybe as a cushion or something. 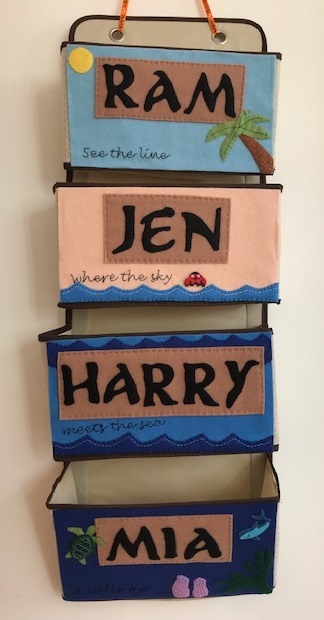 I'm not very good at deciding what to do with finished cross stitch pieces, I do like to have them on display but I also like quite a simplistic look to my decorating without too much clutter about. It's something for me to think about, I'd love to hear suggestions if you have any!